This article was created in partnership with monday.com. Thank you for supporting the partners who make SitePoint possible. Designers know that communication and organization are essential to making a project successful. Otherwise, it's just too easy to suffer from setbacks and misunderstandings. Working as a team means knowing who's responsible for handling tasks, keeping tabs on progress and being mindful of deadlines. But even if you're working on your own, you still need a way to stay on top of your to-do list. When it comes to project work, there are so many things we need to stay on top of. Trying to do so with email or traditional meetings ends up causing more problems than they solve. There's got to be a better way. Use boards to keep track of every aspect of your projects. 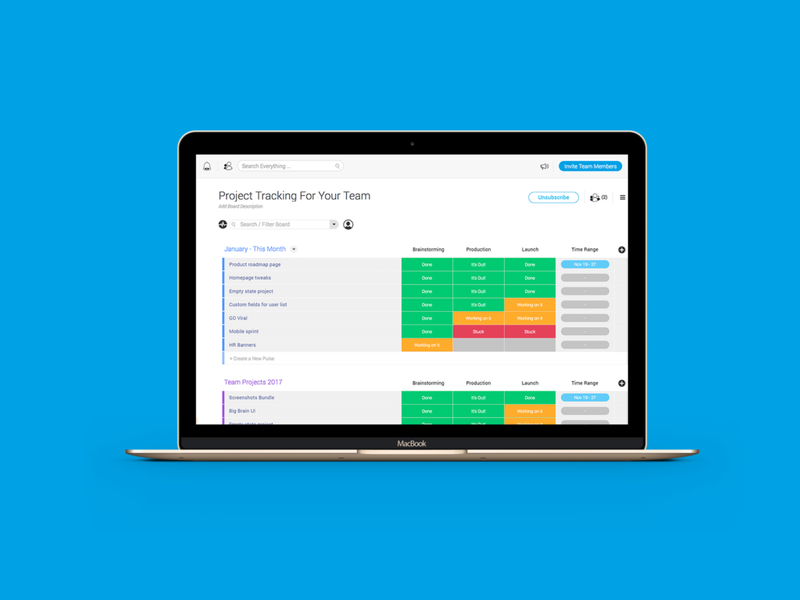 You can set up multiple boards to provide anything from a high-level view of what your team is working on to a task list for a single person. Boards are designed to be intuitive and user-friendly. From color-coded task statuses to a simple drag-and-drop method for moving things around â€“ there's no steep learning curve to adjust to. Things simply work. And, you'll love the fact that you can tag each task and easily search for every related item in the system. This makes it incredibly painless to find what you're looking for. With monday.com, you'll find that communicating with team members and clients is both easy and enjoyable. Participants are kept in the loop with new message notifications on their desktop or mobile devices in real-time. That means you'll spend less time in pointless meetings and more time knocking tasks off your list. You can also share files directly from your device or supported third-party cloud services. Plus, this forum provides a great place to share new ideas, feedback or ask a quick question. And, because everything is all in one place, you won't have to dig through huge archives to go back and reference something. Try doing that with email. As a bonus, you can cheer on team members by sharing .gifs and giving them a thumbs-up. A little bit of encouragement can go a long way! Seeing your projects in a visual manner can really open your eyes to the bigger picture. With monday.com's Timeline feature, you'll see a listing of team members, which projects they're assigned to and respective dates. It's all there in an attractive and interactive chart. The Timeline lets you easily find out which team members are super-busy, along with those who might have time for a new task assignment. Because it provides such a great view of what's happening, you'll be better able to stay on top of project deadlines. Task management has never looked so good. Reading about how monday.com's features make life easier is great. But when you see the real-life results others have had, it's all the more impressive. You'll find that monday.com has been utilized by companies ranging from solo entrepreneurs all the way up to large corporations. It's not often that a tool can be successfully used by such a wide variety of clients. This speaks to monday.com's flexibility in adapting to the different needs of its users. The system can be easily customized to your specific requirements â€“ no matter how simple or complex. And it's a great fit for every industry. Your first thought might be of a hot tech company â€“ and it does do wonders there. But it's also been an indispensible tool for schools, fitness gurus and even a small bike company. Implementing a strong task management tool can transform the way you work. You'll have a better understanding of your projects â€“ right down to the smallest details. Team members will stay on the same page and be aware of their own responsibilities. This results in projects that get done more quickly and with fewer hiccups. monday.com provides you with a highly-visual and easy-to-use platform that brings everything and everyone together. The best part is that you can start using monday.com for free. Experience this revolutionary tool for yourself and see how much it can streamline your workflow.